Irrevocable life insurance trusts simplify liquidity planning for high-net-worth individuals. 2. Can Group Term Life Insurance Be Placed Into an Irrevocable Life Insurance Trust? 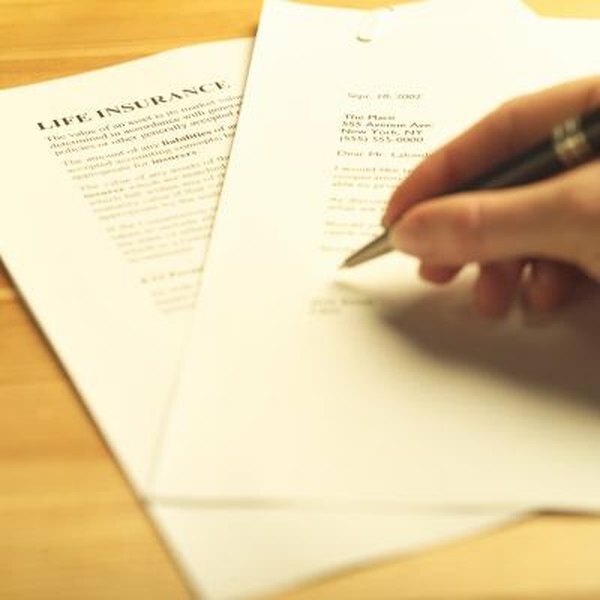 Life insurance is a commonly-used funding mechanism in many people’s estate planning. Even with the federal estate tax exemption at more than $5 million and indexed to inflation, state death taxes and other administrative charges could rack up and endanger heirs’ ability to take possession of illiquid inheritances. Estate liquidity is especially a concern for small-business owners who want to pass their businesses on after they die. Irrevocable life insurance trusts, or ILITs, help ensure that the cash is on hand in such a case. Most estate planning techniques rely on permanent life insurance because it provides certainty that it will pay out regardless of when the insured dies. The risk of using term life insurance to fund an irrevocable life insurance trust comes from the chance that the need for the liquidity will outlive the life insurance policy. For example, say a 40-year-old business owner opens an ILIT that would cover the unavoidable estate taxes on her business assets. If she plans to transfer her business to her heirs in a fixed amount of time, she could save substantially on premiums by funding the trust with term insurance. Trusts are separate legal entities from the people who create, manage and benefit from them. Creating an irrevocable life insurance trust requires that the donor transfer ownership of a life insurance policy over to the trust without reserving any rights of ownership. By owning the life insurance policy, the trust keeps the value of the policy from being part of the deceased’s taxable estate and ensures the proceeds are available for the beneficiaries to cover estate taxes. Life insurance is a contract that provides a beneficiary with an income-tax-free payout on the death of the insured in exchange for a stream of payments called premiums. Insurance companies offer a large variety of terms and conditions for how life insurance policies operate. For example, a company might offer either permanent or term life insurance. Permanent life insurance grows cash value and is nearly guaranteed to pay out as long as the policy stays in force. Term life insurance offers larger amounts of death benefits for lower premiums, but will only cover a set period, or term, such as 20 years, then it terminates. Paying the premiums on a life insurance policy owned by an irrevocable life insurance trust poses a number of tax problems. Some trusts are established with sufficient assets aside from the insurance policy so that the trust has enough income to cover the premium payments. Others have only the life insurance policy, and the donor must make annual contributions to cover the premiums. As long as the trust provides beneficiaries with certain rights to take those annual contributions, the donor can take advantage of the gift tax exclusion. Otherwise, the donor might have to pay gift taxes on the premium contributions made to the trust. Does a Trust Have a Federal Gift Tax Exemption?